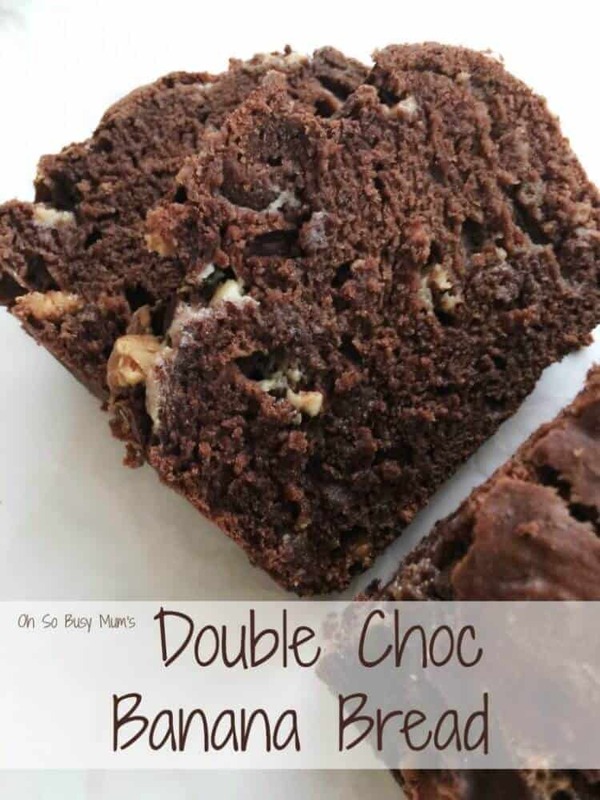 If you enjoy chocolate and banana bread, you will just LOVE this Double Choc Banana Bread! This bread is moist, easy to make and, with the added white chocolate chips, this Double Choc Banana Bread A M A Z I N G! I adapted this yummy recipe from spend with pennies. Preheat oven to 160ºC. Grease and flour a loaf tin. Combine flour, cocoa powder and baking powder and set aside. Add eggs to sugar and butter, mix until combined. Mix in bananas, flour mixture and white chocolate chips until just combined. Add the mixture to the greased tin and bake for around 45-50 minutes or until a skewer comes out clean.